This piece evokes a feeling of spring for me. It’s to be played with a very gentle sense of perpetual motion. It is also a wonderful study in left hand slur technique. 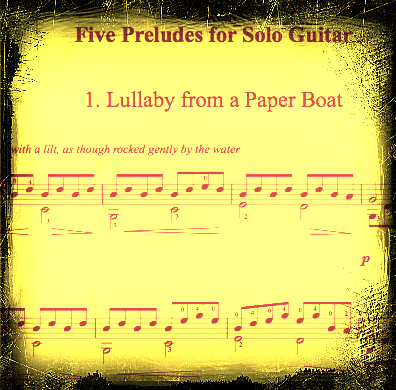 This is the finale prelude from my first set of Preludes for solo guitar. 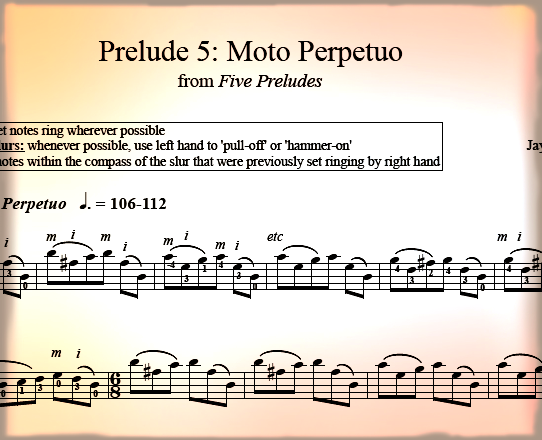 You can also purchase all 5 preludes in one Pdf for a discount. Overlay of many layers of harmony, so beautiful and fluid.